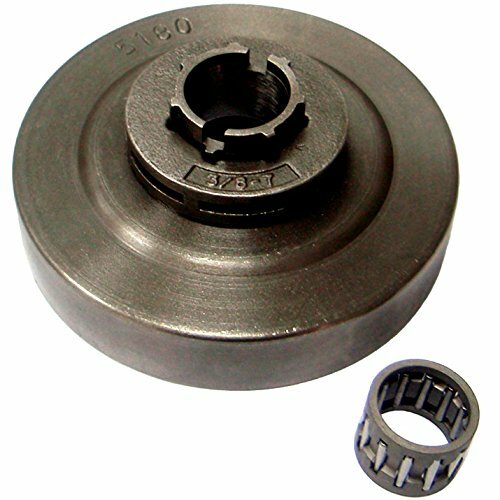 Oregon 68210 7-Tooth Standard 7 Spline Power Mate Rim Pitch , 3/8"
Power Mate Rims are preferred by most professional chain saw users. The rim "Floats" on the spline and allows the saw chain and rim to align with the groove of the guide bar extending the operational life of the Sprocket. This rims is equipped with wear-depth indicators, which make it easy to tell when the sprocket should be replaced, and has a radial port design which uses centrifugal force to throw off sawdust and debris. 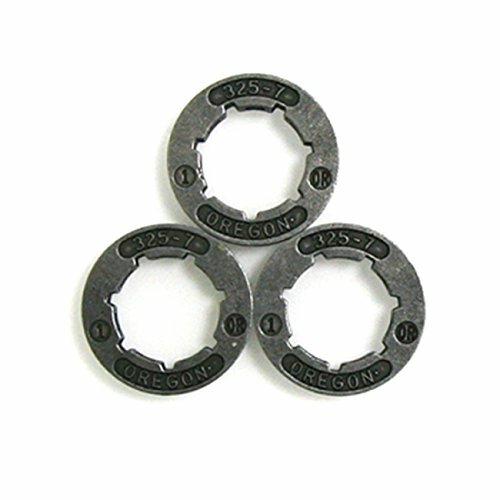 Chainsaw Rim Sprocket Rim & Bearing Included. 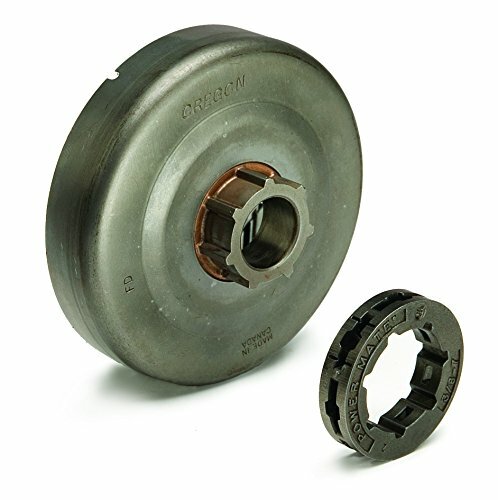 Replaces the following Brands OEM: Brand: Oregon OEM: 513470 , 513470X Fits the following Brands Models: Brand: Husqvarna Model: 455 , 455 Rancher , 460 , 460 Rancher Specs: 3/8" Pitch 7 Tooth Contact us for any question regarding this item. Description:For:Husqvarna ,Dolmar ,Makita ,Jonsered ,Oleo Mac ,Partner ,Mcculloch ,Poulan, Stihl and many other models.Package Includes:3 x .325"-7T Rim SprocketNote:Please Compare Our Product Against Yours, Including its Appearance, Size,Shape Before Ordering.Thank You. SpecificationsCondition: 100% newClutch DrumColor: As Picture ShowMaterial: MetalTeeth: 7 teethDiameter: approx. 6.9cm (2.7 inch)Rim SprocketColor: As Picture ShowMaterial: MetalManufacturer Part Number: 0000-642-1240Model: 3/8LP Picco, 7 ToothSize: approx. 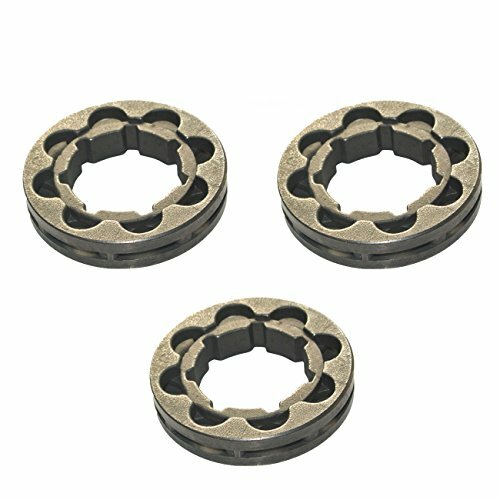 3.65x1.7cm (1.4x0.6inch)(D x H)Item included:1 x Clutch Drum1 x Sprocket RimCompatible With: CFit for Stihl 017 018 021 023 MS170 MS180 MS250 MS251 ChainsawThis Is Aftermarket Replacement Item But Not GenuineNote:1) All dimensions are measured by hand, there may be small deviations.2) Please notice the shape and size before purchase.Feature:1) According to the original factory specifications.2) Perfect match for the original one.3) Easy installation.4) Stable characteristics, high reliability. Brand New Set of 4 Chainsaw Rim Sprockets. Replaces the following Brands OEM: Brand: Homelite OEM: 95058 , 95058A Brand: Echo OEM: 17500500230 Brand: Husqvarna OEM: 501 59 80-02 Brand: Oregon OEM: 68210 Brand: Rotary OEM: 1689 Brand: Stens OEM: 085-0017 , 085-001 Brand: Carlton OEM: A-17-SR Brand: Herr OEM: 3/8-7-1 Brand: Sandvik OEM: 04-3771 Fits the following Brands Models: Brand: Echo Model: CS-60, CS-602, CS-60S, CS-650 CS-660, CS-670, CS-702, CS-750 CS-6700, QV-6700 Brand: Stihl Model: 030, 031, 032, 038, 040, 041 044, 046, 056, 064, 066 MS361, MS440, MS660, MS660M Brand: Husqvarna Model: 50, 51, 55, 61, 66, 77 154, 160, 162, 163, 180, 181 185, 254, 257, 260, 262, 263 266, 268, 272, 280, 281, 285 288, 298, 355, 359, 362, 365 371, 372, 380, 394, 480, 2100, 2101, 3120 Specs: 3/8" Pitch 7 Tooth ID: .886" OD: 1.510" Standard 7 Spline Hole. Contact us for any question regarding this item. 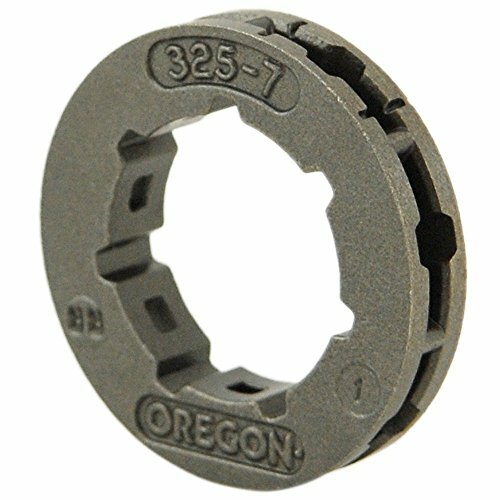 Oregon 18720 7-Tooth Small 7 Spline Power Mate Rim Pitch , 3/8"
Power Mate Rims are preferred by most professional chain saw users. The rim "Floats" on the spline and allows the saw chain and rim to align with the groove of the guide bar extending the operational life of the Sprocket. This rims is equipped with wear-depth indicators, which make it easy to tell when the sprocket should be replaced. 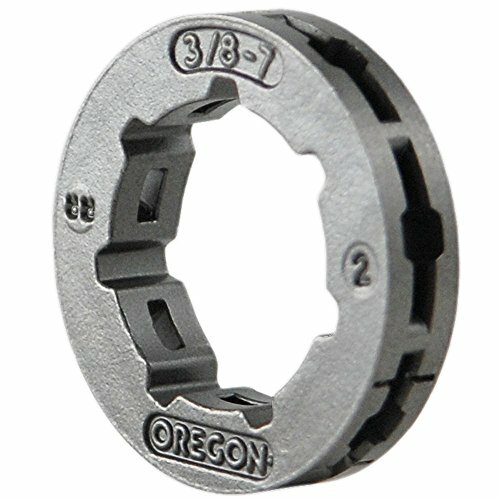 Oregon Power Mate Sprocket System has a replaceable free-floating rim. 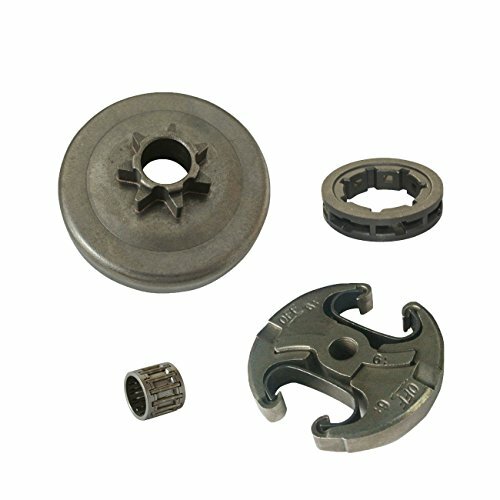 The advantages of a rim-type sprocket are that (1) the rim can float on the clutch cup's spline, allowing the rim and chain to align with the bar, and (2) the rim is replaceable, extending the overall life and economy of the sprocket system. Bearings and other specialized replacement components are also available from Oregon to help keep your sprocket in service for a long time. Showing how to grease or replace the sprocket needle bearing on inboard clutch rim sprocket stihl saws. Note: I'm in no way qualified/certified to do/teach this type of work. I just like to tinker, and this is how I tinker on these. 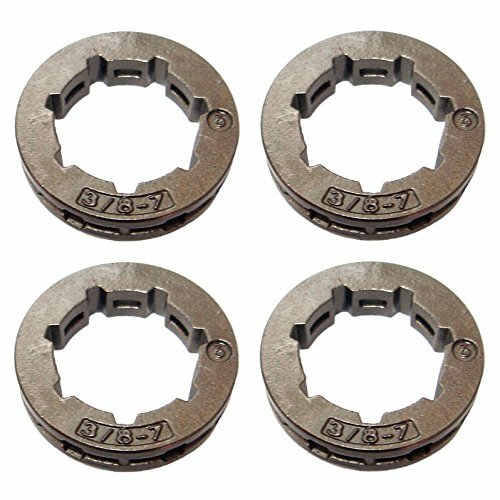 Moving from a 7 pin to 8 pin drive rim - do you need to adjust the chain length? 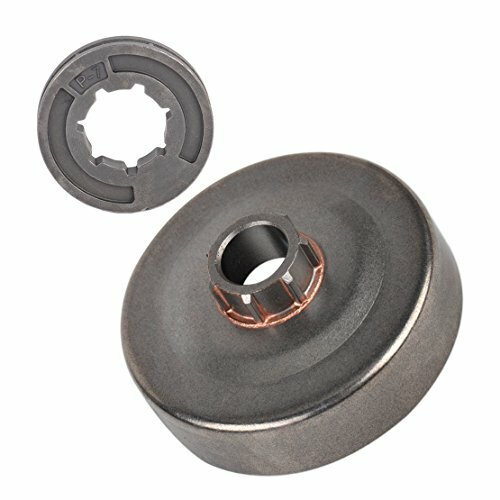 Compare prices on Rim Sprocket Chainsaw at ShoppinGent.com – use promo codes and coupons for best offers and deals. Start smart buying with ShoppinGent.com right now and choose your golden price on every purchase.